Vans announced today that it is partnering with ETN for the broadcasting of the Vans Park Series starting in 2018. While the event will still remain free to stream, the move to ETN suggests an alignment with SLS during this run up to the 2020 Tokyo Games. If so, this could position the Vans Park Series as an official qualifier for the park portion of skateboarding’s Olympic debut. We’ll be keeping an eye on this situation as it continues to unfold. You can read more details on this new partnership below. For a full list of dates and locations for this year’s series, visit the Vans Park Series website. In advance of the 2018 Vans Park Series season start in Brazil this June, the premier global park terrain skateboarding competition series is excited to announce an exclusive media partnership with ETN, presenting the VPS Live Broadcast on ETN free of charge for viewers around the world. 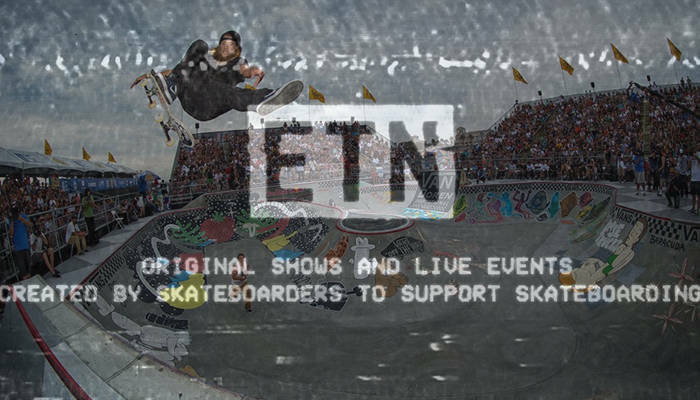 A growing subscriber-based media network created by skateboarders and specializing in live events and original skate programming, ETN joins Vans Park Series as the official 2018 Live Broadcast media partner for the upcoming season, providing VPS tour programming for free on the ETN app and online at ETNlive.com all season long.